Bun Cha is another Hanoi specialty not to be missed and this little bun cha stop on Hang Manh St is one of the dish's best exponents. 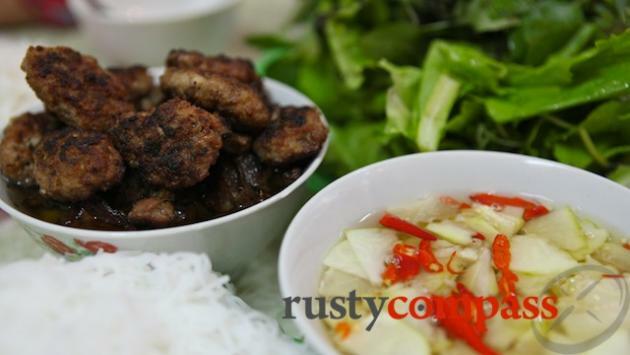 Grilled pork served with white noodles (bun) and loads of fresh herbs, bun cha is tasty and filling - if a touch oily. Many a newly arrived foreigner has developed an addiction to this simple dish. 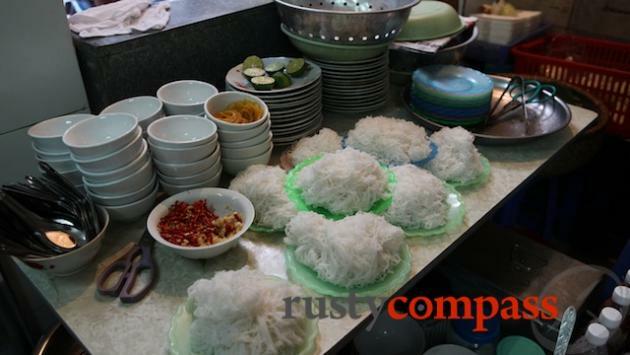 Like many local specialties, bun cha is served by eateries that serve little else - and you'll see them dotted all around Hanoi streets with a big "bun cha" sign ensuring there's no confusion about what's on offer. This bun cha outlet on Hang Manh St is a long term favourite but we've tried plenty of others that were perfectly delicious. 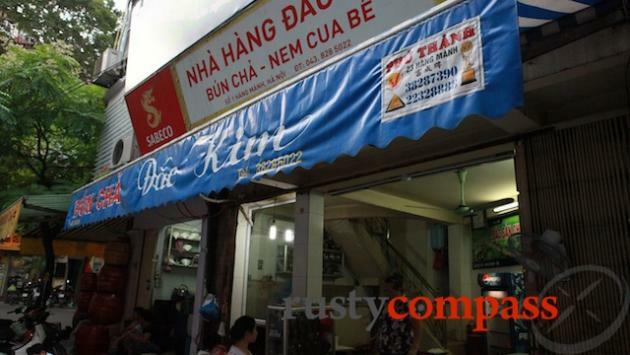 In a practice all too common in Vietnam, the next door neighbour has opened a copy cat eatery. Dac Kim is the one you want to visit. The popularity of Dac Kim has seen many a travel writer passing through for a couple of days, declare its best days over. While I still see good crowds of local diners, I'll continue to the defer to their good taste. But there are definitely plenty of alternatives. You may want to check out Bun Cha Obama - where Barack and Anthony Bourdain dined in 2016.